Symphony/Drew Angerer/Getty Images/Jenny Cheng/BI GraphicsSymphony CEO David Gurle, left, and Bloomberg CEO Michael Bloomberg, right. Major Wall Street banks like Goldman Sachs and JPMorgan have invested almost $US300 million in Symphony, a startup building encrypted, cloud-based communication tools. Google is also an investor. The banks want to build a platform they can all communicate on to help them cut down on expensive Bloomberg terminals. Almost four years into the project, Symphony has over 300,000 users. But there are questions around usage, partnerships, and whether its really having an effect on Bloomberg. This story, based on conversations with 35 sources, looks at how Wall Street’s audacious bet has gone so far and the challenges the startup still faces. Macron, one of the most powerful men in European politics, was praising Gurle’s decision to set up a new French research and development center for his company Symphony, a secure messaging platform. For those who know Gurle, the French president’s praise will not have been a surprise. 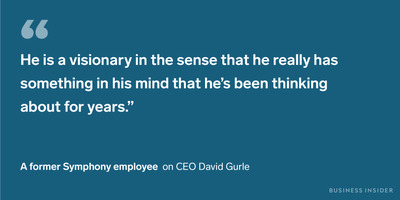 The son of two former diplomats and a veteran Silicon Valley executive for almost two decades, Gurle is known as the consummate salesman who could “charm the birds from the trees,” according to a former employee. This charm has come in handy. Banks, asset managers, and even Google have invested almost $US300 million into Symphony, a secure, cloud-based chat platform conceived as a hub for any and all financial work. Banks hope Symphony can engineer a new, super-secure communication superhighway that help them cut down on Bloomberg terminals, the crucial but expensive trading and data tool that has dominated finance for decades. It’s easy to see why banks want competition. A single Bloomberg terminal costs $US24,000 a year and the company controls around a third of the $US28 billion global information market for financial markets data, analysis and news, according to estimates from Burton-Taylor International Consulting, a TP ICAP company. Around two-thirds of its estimated $US9 billion in annual revenues comes from its terminals. Founder Mike Bloomberg is one of the richest men in the world. Almost four years into the Symphony project, Gurle and his team have made some headway. The Symphony platform now offers apps, bots, and integrations from the likes of Dow Jones, Factset, Eikon by Thomson Reuters, and S&P Global Markets Intelligence. It’s grown to have hundreds of thousands of users across Wall Street who send millions of messages each week and has been privately valued at over $US1 billion. But behind the numbers, the picture is more complicated. The majority of Symphony customers use it to communicate internally which offers efficiency savings but doesn’t tend to generate revenue. That’s compared to the more valuable cross-industry communication that takes place on Bloomberg, in which traders strike multi-million dollar deals with big hedge funds and asset managers. The rump of customers are also drawn from the firms that have invested in the project and have a vested interest in its success. Many are compelled by management to use the platform and privately express reluctance. And there are rumblings that some partners are unhappy. The data feeds they provide through Symphony have not rolled over into paid-for subscriptions at the rate they hoped for. It highlights the difficult task Gurle faces in keeping not just Symphony’s 28 investors happy, but also its broad galaxy of partners and customers. Symphony’s investors and leadership insist the company is simply at the beginning of a long mission to transform the way Wall Street communicates and point to growing messaging numbers. Still, plenty of companies have tried to disrupt Bloomberg in the past. Almost all have failed. The big question is: can David Gurle make Symphony the exception? This story is based on conversations with over 35 people, spanning current and former Symphony employees, board members, investors, customers, analysts, and partners. It charts the growing pains of a hotly backed startup that has rubbed up against a Goliath and lays out the challenges it still faces. Five years ago, Wall Street banks were privately furious after discovering that Bloomberg reporters could see limited information about what terminal users were doing. Bloomberg quickly closed this loophole but the incident spurred a coalition of banks, led by Goldman Sachs, to push forward on a long-held ambition to try and build an industry-owned challenger to Bloomberg’s ubiquitous $US24,000-a-year terminals. “It was born, I think, out of anger,” Douglas B. Taylor, a managing director at Burton-Taylor International, said of Symphony. Burton-Taylor International is a consultancy that monitors the information industry, following companies like Bloomberg, Dow Jones, and Reuters. The snooping incident came as Goldman Sachs was already working on its own internal project, dubbed “Babel”, that aimed to create a platform unifying the dozens of communication tools the bank used internally. Goldman began looking at a spin-out of Babel in 2014. When the news leaked, Goldman received a flurry of inbound calls from other banks keen to get involved, according to a source close to the deal. In the end, a consortium of 14 banks and financial firms bought Perzo, a Silicon Valley encrypted messaging startup. Much of Goldman’s Babel project was transferred into the startup. The firms in on the deal included Morgan Stanley, JPMorgan, Bank of America, Deutsche Bank, HSBC, and BlackRock. Collectively, the 14 firms invested $US66 million. Perzo was the brainchild of former Thomson Reuters executive and entrepreneur David Gurle. He was a key draw in the deal. A graduate of an elite Parisian engineering school, Gurle ran Microsoft’s real-time communications business for three years, helping to build the communication tool Lync while there in the early 2000s. He went on to stints at Reuters and Skype, where he worked on Skype for Business. “He is a visionary in the sense that he really has something in his mind that he’s been thinking about for years,” a former long-time Symphony employee said. Symphony signed early data deals with financial data giants Dow Jones and McGraw Hill Financial, the owner of ratings agency Standard & Poor’s. It officially launched in September 2015, with press parties on the rooftop of a New York City Midtown hotel and London’s plush Lanesborough Hotel. A month later, more big-name investors backed the project.Symphony raised $US100 million from Google, Natixis, Societe Generale, and UBS, among others. One former staffer and a source close to the board said there were “loose” chats with Google about a potential sale at the time. As with any startup, there were early teething problems. Customers reported a clunky user experience and issues with the platform quitting unexpectedly. “Sometimes it would go out for a day, half a day,” a former Goldman Sachs employee recalled. By contrast, “I can remember two times during my time at GS that Bloomberg went down in three years,” he said. 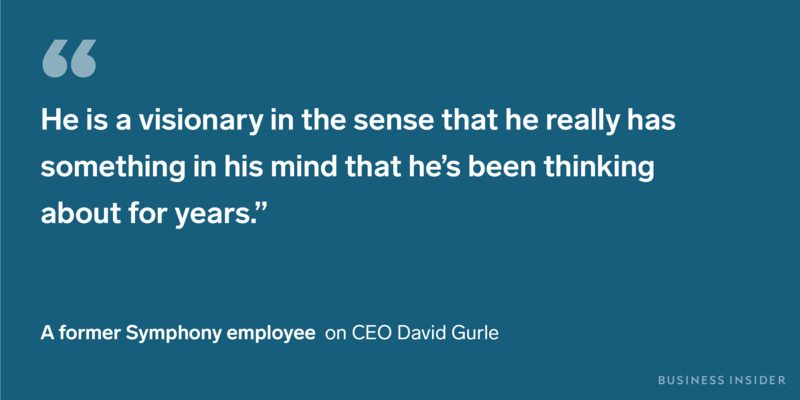 One Symphony employee had a different take, saying that some in the company lived in fear of Gurle’s demanding nature. The employee also complained that Gurle surrounded himself with “yes men,” a criticism echoed by several other former employees. Two separately used the term “untouchable” to describe the group of people close to Gurle. Early on, Symphony brushed up against regulators. New York’s Department of Financial Services forced rule changes around data storage before it even launched and the EU took an interest in Symphony, scrutinizing its data capture and retention policies. It later emerged that Bloomberg had been lobbying EU officials to get them to take a harder line on the platform. 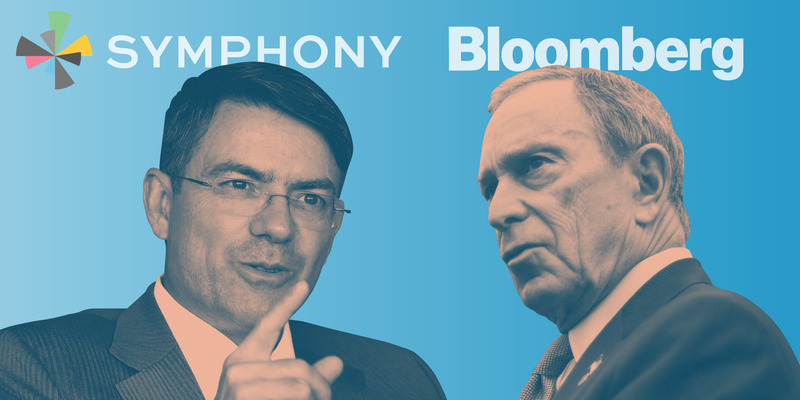 Those close to Symphony have downplayed the company’s antagonistic relationship with Bloomberg. Gurle denied Symphony was a Bloomberg rival in a 2015 interview with Business Insider, saying: “If there’s anything we’re going to disrupt it’s going to be the different messaging tools across enterprises.” In a memo to staff in 2017, Gurle said that the company’s real rivals are the likes of Slack, Skype for Business, and Microsoft’s Teams. But the lobbying efforts show Bloomberg saw the startup as a threat. The financial data giant also launched a messaging service in October 2017 that was pitched at back office staff, allowing them to communicate with front office staff who had terminals over the same platform. Analysts BI spoke to said saw it as a clear response to Symphony. Bloomberg’s new chat-only service costs just $US10 a month – $US10 cheaper than Symphony. Bloomberg declined to comment for this story. Many banks also view Symphony through the lens of Bloomberg. 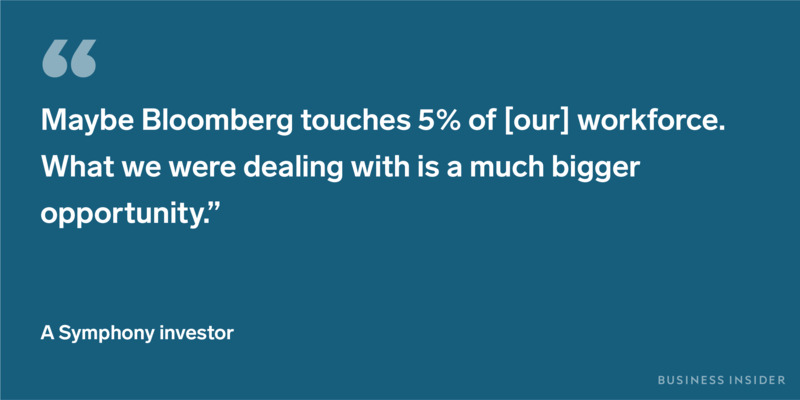 Several have cost-saving targets associated with using Symphony to cut down on Bloomberg terminals, according to a former relationship manager who worked at Symphony. One US bank aimed to initially save around $US4 million by shifting over 100 people off Bloomberg terminals in the first year, the source said, with the figure rising in subsequent years. Another European bank had a similar target. Today, Symphony has around 325 enterprise clients and close to 350,000 ultimate users. Customers pay $US20 per month per seat. Symphony told Business Insider it had $US35 million of recurring annual revenues at the end of 2017 and that rate is growing by 50% each year. A lot of the adoption has come from the banks and asset managers that invested in the product. Support came not just in the form of cash but also pushes to get employees to use the system. Staff at BlackRock and Credit Suisse told BI that Symphony automatically boots up when they log on to their computers, while others at Deutsche Bank, JPMorgan, and Goldman Sachs said senior managers at these banks have emailed teams to encourage them to use the platform. But Symphony has a problem: not enough people are using it for doing deals. 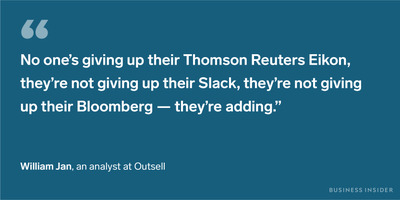 The real value of Bloomberg’s chat function is it allows traders to pitch deals to buy-side clients. It’s this revenue generating feature of Bloomberg that convinces banks to begrudgingly fork over the tens of millions they spend on the terminals each year. Although Symphony says over 200,000 users are able to communicate across organisations, conversations with multiple customers and users suggest usage of this feature is far from mainstream. Multiple sources across the industry gave the example of posting company newsletters or even lunch menus on Symphony, using it as a kind of modern intranet. Why aren’t companies using Symphony to do business with each other? Users told Business Insider that not enough buy-side clients are on the platform to create a so-called “network effect.” Simply put, the salespeople are there but the customers aren’t. To be sure, there are buy-side firms on the platform. BlackRock and AB, who together have almost $US7 trillion in assets under management, are both major supporters on the platform. But the majority of usage is still internal. 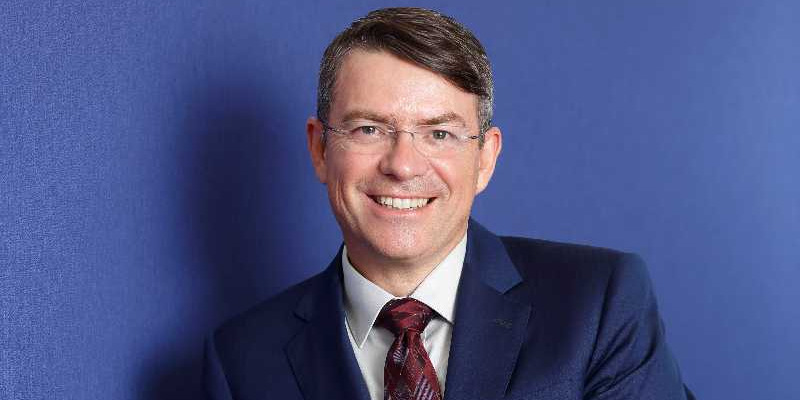 A source close to Symphony’s board said that they need about 10 large asset managers fully on board to “get over the hump.” Another stressed that long internal authorization process at finance firms means progress made with the buy-side is slow to filter through – even if a firm has signed on to Symphony, it could take staff as long as a year to get fully authorised to talk to people at external firms. The tide may be turning somewhat. Deutsche Bank’s asset management arm, for example, has asked many of the brokers it deals with to only communicate with staff over Symphony. The platform allows the buy-side some degree of control compared to the information overload the usually face from the sell-side. Still, Symphony faces hurdles when it comes to convincing traders at banks to adopt the platform. Several traders at major banks BI spoke to said they have limited desktop space, and it’s difficult for them to justify adding another platform such as Symphony. 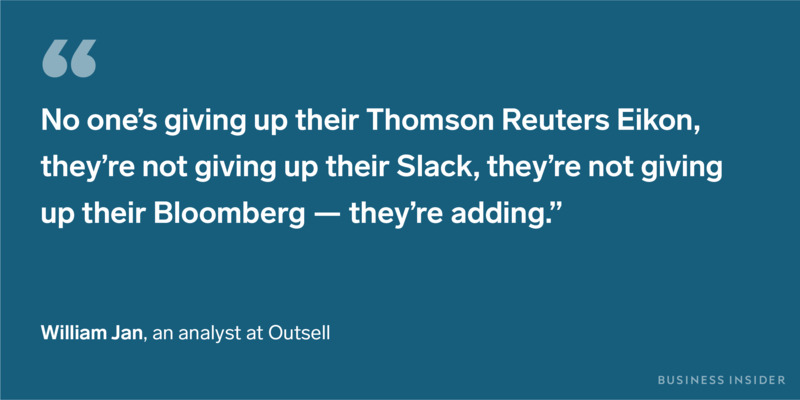 “No one’s giving up their Thomson Reuters Eikon messenger service, they’re not giving up their Slack, they’re not giving up their Bloomberg terminals – they’re adding,” William Jan, an analyst at Outsell who wrote a recent note on Symphony, told BI. A source close to the company insisted that Symphony has helped banks to realise cost savings by removing Bloomberg terminals. But the former relationship manager BI spoke with said at least some were frustrated that the savings they had forecast have not yet been fully realised. After a slight dip in terminal sales in 2016, Bloomberg sales rose by 0.6% in 2017 according to Burton-Taylor International. Jan warned in his note that partners may also be growing unhappy with the platform. Data partners offer “lite” services through Symphony in the hopes that customers end up subscribing to get richer feeds. This has not happened in the volume partners wanted, according to Jan.
“The conversion rates that they’re seeing is pretty dismal,” he said. The risk that some may quit the platform led Jan to give Symphony a negative outlook rating in his note. Today, Symphony’s main focus is on driving “engagement”: getting people to collaborate on the platform. Part of the bump has been driven by “bots”: automated programs that can navigate the platform, doing everything from notifying people about trade fails, to serving up the latest bits of research, helping with room bookings, or even client on-boarding. There are currently around 500 bots on the platform and around 10% of all messages sent on the platform are already generated by bots, according to Symphony. While the bulk of the business focuses on engagement, Gurle has his eye on growth markets. He relocated to Singapore last year as part of efforts to win new business in Asia and now lives full-time in Hong Kong. Symphony signed 25 new clients in the year Gurle spent in Singapore, the company told BI, and user numbers in the region doubled. Gurle has also talked extensively about Symphony’s potential beyond finance. He said in a memo to staff last year that the company’s emphasis on security and compliance means it can dominate in highly regulated industries such as medicine and law. Critics say this expansion is necessitated by Symphony’s billion dollar valuation. Symphony was reportedly valued at over $US1 billion in a private funding round last year, a valuation that analysts BI spoke to said was ambitious and would require further growth to justify. Symphony has identified governments as a potentially lucrative new market to tap into and talks are ongoing with the EU, according to a source. Another source said the company is also in talks with security services around the world. FBI director Christopher Wray highlighted Symphony as a “responsible” use on encryption in a speech in March. Symphony said it “invested in a team of go-to-market professionals that are focused on growing Symphony’s footprint outside of financial services,” at the start of this year. The company said it has customers across professional services, legal, insurance, government, and aviation. The bulk are still in financial services. Symphony is not the first to try and challenge the dominance of Bloomberg as the connecting tissue of Wall Street. Taylor, in fact, worked on a project in 1989 while at Reuters to try and build a Bloomberg killer. 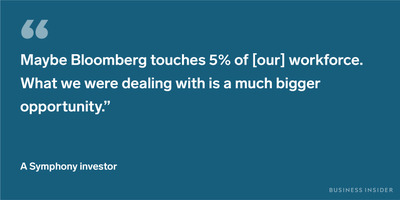 Most companies that go up against Bloomberg have failed to dent its market share. Spencer Mindlin, an industry analyst at Aite Group, pointed to Communicator, an instant messaging platform that made in-roads into financial services in the early 2000s. JPMorgan, Merrill Lynch, Credit Suisse, Goldman Sachs, Lehman Brothers, Morgan Stanley, and UBS all signed on to use the platform in 2002. But Communicator didn’t gain much traction and was sold to Markit in 2006 for an undisclosed sum. Markit acquired the business mainly for other products it had developed by then – notably a swaps trading feature and bond research portal – and ended up shutting down the instant messaging platform. “The history is that most companies that confront Bloomberg with a new product end up dead on the side of the road,” Taylor said. Bloomberg LP is worth an estimated $US54 billion according to Forbes and, as the aggressive pricing of its new chat-only offerings demonstrates, it is willing to use that financial firepower to crush opposition. Meanwhile, Slack is said to be currently raising $US400 million. 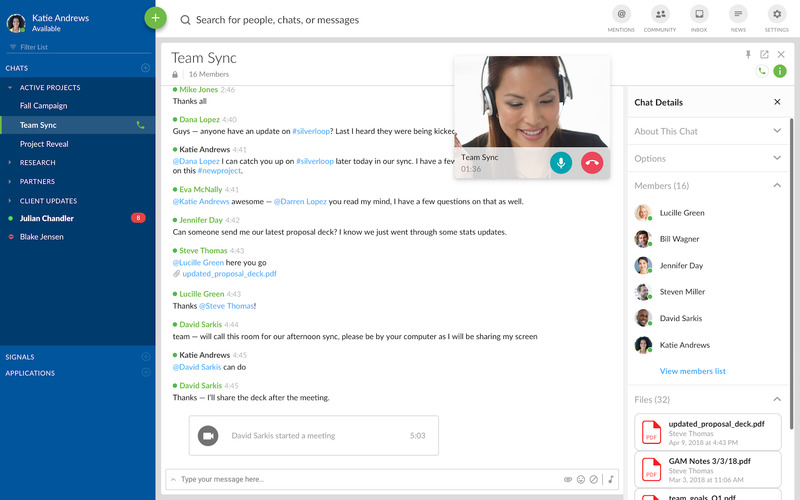 Skype and Lync can both rely on the financial might of Microsoft. Symphony’s backers and executives stress that the company is just at the beginning of what is likely a very long journey. Disrupting any industry is generally a tough task but Silicon Valley has shown time and time again that it is possible. If Symphony is successful, it must become a high-security, high-speed network connecting some of the most important corporations and institutions around the world. The ultimate goal talked about internally is to exit through a multi-billion dollar IPO, the badge of honour for any successful tech company. Insiders say the company is still a way off being in shape for such a transaction, though, given the question marks around front office adoption and cross-company collaboration. Additional reporting by Frank Chaparro, Dakin Campbell, and Olivia Oran.